Be half bot and half human, a new generation of cyborgs. 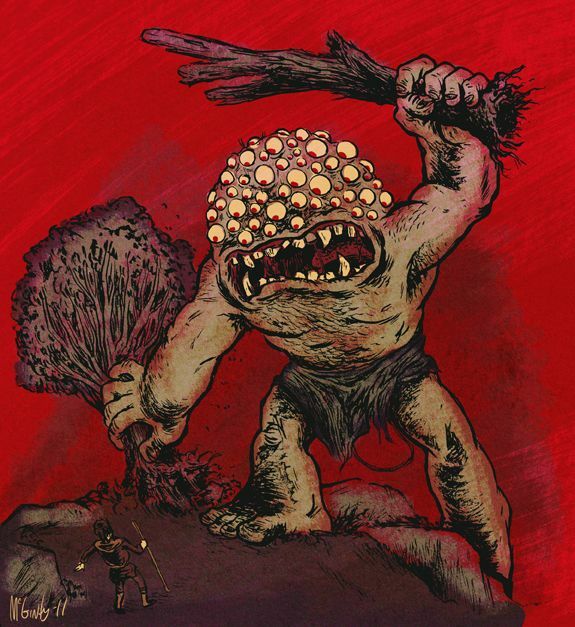 Argos Panoptes was a many-eyed giant in Greek mythology. Was a giant, the son of Arestor, whose name "Panoptes" meant "the all-seeing one". This toolkit pretends to be a tool to maintain the privacy in a panoptic world, where the humans are the product of the big data mercantilization. The main idea is to analyze, modify, and clean public data, to add more entropy to the network. Word count: get the frequency of word use. 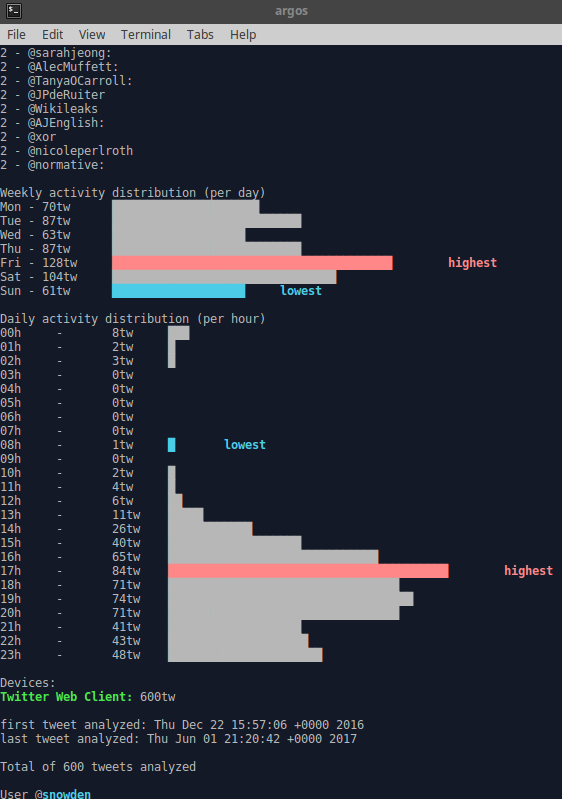 Weekly activity distribution: view wich are the days of more tweets, and the days with less tweets. 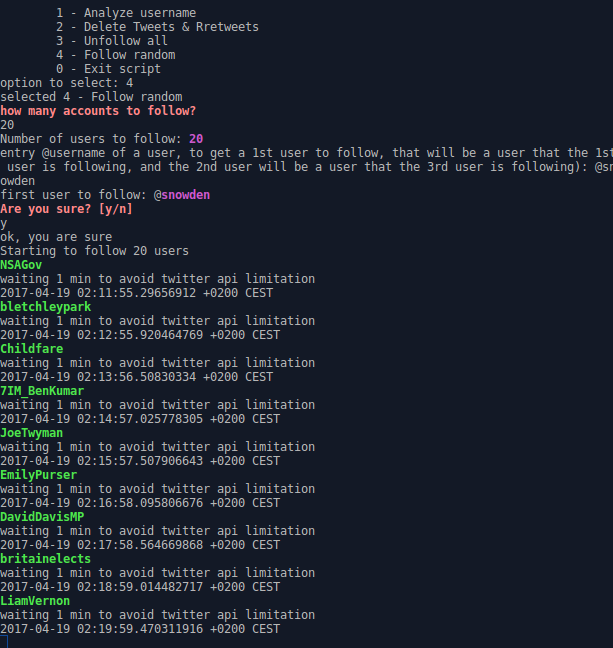 Daily activity distribution: view the daily schedule from the tweets hours. Devices used: wich devices are used to tweet. Erase all followings, erase your public following history. 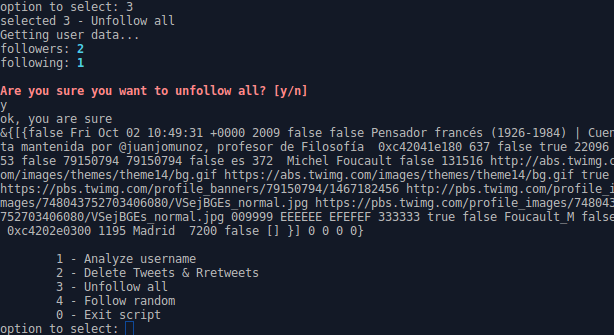 Random follow accounts, to generate more entropy and a random public profile. Start with a username, and Argus will get a random account that the selected account follows, and will follow it, and repeat the process again and again until complete the following of requested number of accounts. Delete all tweets and retweets. Delete all your public tweets, to difficult profiling based on tweets history. Delete all favs (likes). Delete all your public favs, to difficult profiling based on favs history. 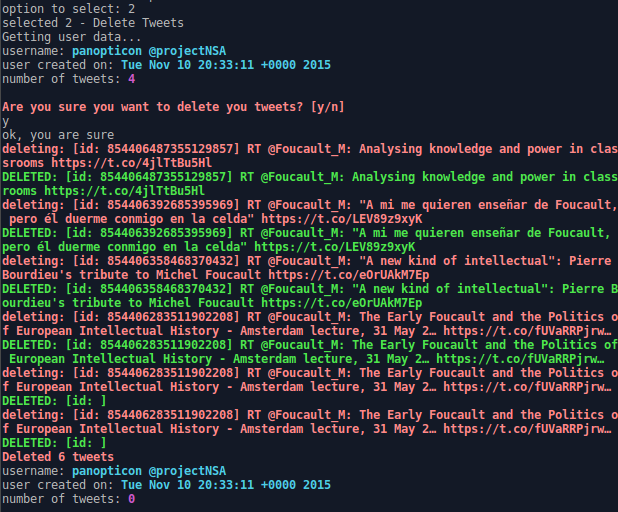 Publish random tweets, generating more entropy to your network. Get the content from another account. 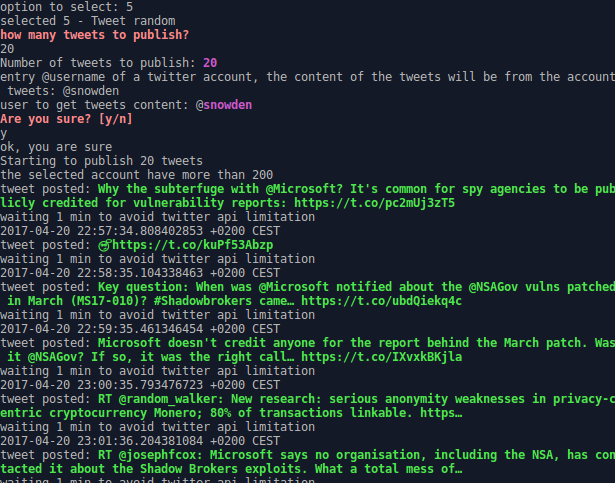 Analyze retweets of a tweet, and show the possible bots, when are they retweeting, from which platform are they programmed.